For many people visiting Abel Tasman National Park, their encounters with weka are memorable. This large flightless rail appears fearless, approaching closely yet quick to skulk away if uncomfortable. Because of their omnivorous diet, weka can be seen in a variety of habitats including estuaries, forests, farmland and under the picnic table. At night the calls can be loud and persistent. The distribution and abundance of weka is an enigma—at least to me. In the North Island weka are rarer than kiwi, now known from just a few locations. This contraction of range was probably due to combined predatory effects of ferrets and dogs. Although this hardly explains their absence from so much forested habitat given that they survive elsewhere in the presence of stoats. In the South Island, weka are currently abundant in the Marlborough Sounds and Westland, and are once again being seen more in Golden Bay, Abel Tasman, Nelson and the surrounding forests. This may be influenced by much of this country being too wet for rabbits and hence unable to support enough ferrets to cause their demise. But this does not explain the spectacular changes in abundance which have been recorded several times in Golden Bay during the 1900s. 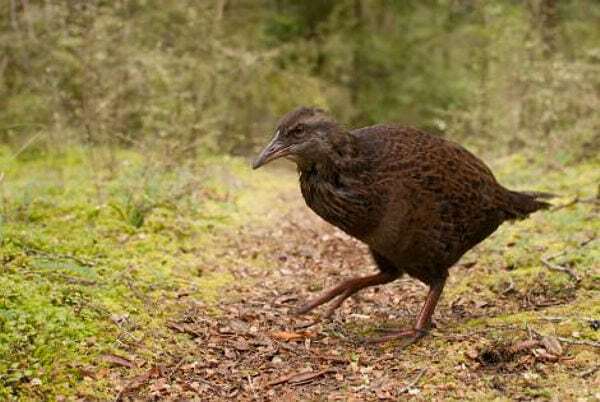 Weka were once common in Abel Tasman National Park but, for some unknown reason, disappeared 20–30 years ago. 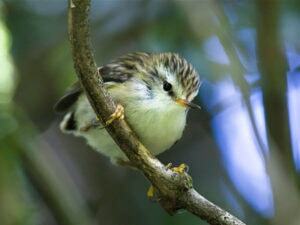 In 2006 the species was re-introduced using birds captured in the Marlborough Sounds. 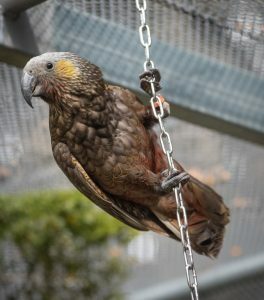 The birds were held in aviaries at Totaranui for several months to minimise the chance of dispersal on release. Any visitor to Totaranui will attest to the success of this operation. But now weka are being seen throughout the park—have these all come from Totaranui stock or have conditions changed and the few survivors have been able to repopulate the park? And what will become of weka in the park? Will they become widespread and abundant once again, and if so, how long will it be before some inexplicable combination of factors once again causes their demise. Weka are not always welcome. While conservationists rejoice to see the restoration of another element in our avifauna they can quickly become troublesome. Vegie gardens have to be fenced to prevent seedlings being ripped from the ground, eggs and food go missing from poultry houses—along with chickens and traps set for rodents or stoats must be specially housed to prevent a weka death. 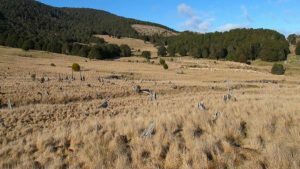 The re-establishment of some wildlife (lizards, ground-nesting birds) is just not possible in the presence of weka.